From First Night festivals to casual New Year’s Eve celebrations, Florida is the place to be to welcome in the new year. No one throws a party like Florida folks, especially when it comes time say farewell to the current year and start fresh! 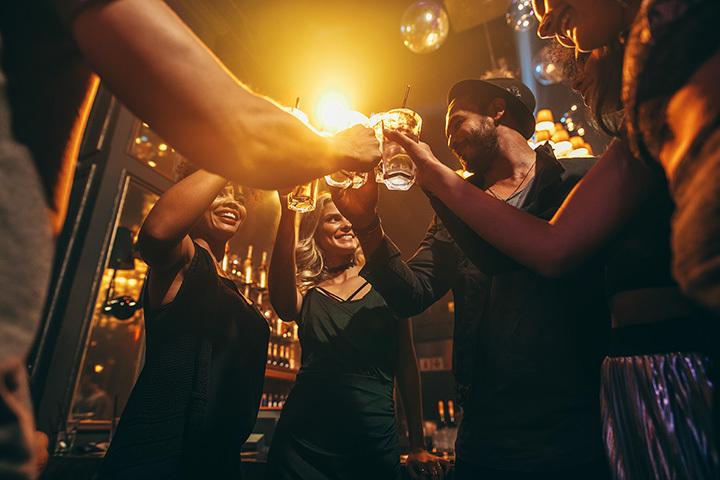 If you’re ready to celebrate with the ones you love, head to one of these eight best New Year’s Eve events in Florida! Ring in the new year German-style at the German American Society of Central Florida. Live German music adds ambiance to fun and food while you wait for the clock to strike 12. This event is family-friendly, offering discounted ticket prices to those under 21. The Hard Rock is hosting their very own Rock ‘Til the Drop New Year’s Eve party. There will be live music, an assortment of menu offerings, and a champagne toast at midnight! Bring the kids and the whole family, because this is a family friendly event! Venture to the LEGOLAND Florida Resort for a kids’ New Year’s party! There will be dancing and there will be fireworks…and all before midnight. This event is included with all forms of park admission which means you and your family can make a day out of it. Head to the Magic Kingdom Park for one of their infamous firework displays: Fantasy in the Sky. They will be taking place on Dec. 30 and Dec. 31. Starting at 7 p.m. there will be a dance party happening at Center Stage in Disney Hollywood Studios where there will be a DJ and even a performance of Jingle Bell, Jingle BAM! This is advertised as the “Best Family New Year’s Eve Event” and for good reason. This event, hosted at St. Augustine Beach Pier Park is brimming with activities and events for all ages. There will be food vendors, carnival rides, bounce houses and a Kids Zone! For the adults, there will be beer and wine vendors, live music, and a firework show! A great time for all! Starting at 8 p.m. there will be MUCH fun at Dave and Buster’s. Kids will love the photo booth, balloon drop, magic show, and even a fortune teller! There are plenty of fun and exciting activities for any and all ages. Families are welcome and food will be served. There’s no better way to bring in the new year, than to do so surrounded by those you love!